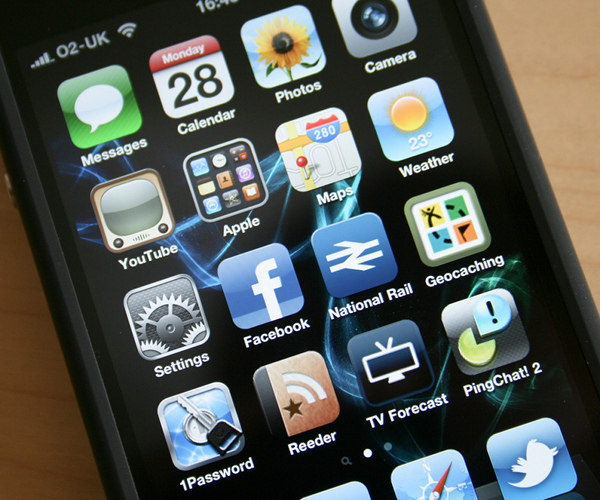 As 2010 draws to a close, we take a look at ten best social apps for mobile platforms this year. We’ve taken into account the design and usefulness of the apps, along with the impact they made during the year. So, in the list you’ll find a mixture of big names and lesser-known favourites that we think made up the cream of this year’s social mobile apps. iPhone: Photo sharing app Instagram quickly became the mobile sensation of the year. Going from zero to one million users in just two months is nothing to be sniffed at and this San Francisco startup has done it by keeping things slick and simple. The app allows you to take pictures, apply beautiful filters and share them to your existing social networks with ease. While similar apps like Path and PicPlz emerged around the same time, Instagram’s attractive photos, simple social features for following, ‘Liking’ and commenting on other users’ uploads – and the fact that you need the app has singled it out as the app everyone’s talking about as 2010 comes to an end. In 2011, look out for a more developed Web interface, an API and an Android app. Various platforms: It may not have made its debut in 2010, but this year really has been the year this New York startup’s check-in app really made its mark. We’ve seen the number of users rocket, commercial partnerships galore, apps arrive for Nokia and Windows Phone 7 and the service’s featureset expanded to support photos and comments. 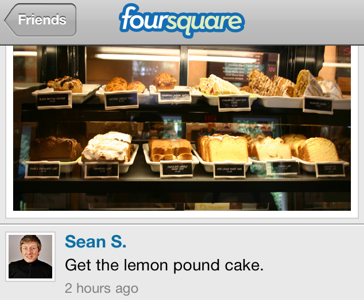 Foursquare has also become the figurehead for the social location revolution, which kicked into gear this year. While Facebook may have made its location play this year, it’s still early days for Places and for now Foursquare remains the big name in social location. iPad: While Mark Zuckerberg may say that the iPad isn’t mobile, it’s mobile enough for us and Flipboard is undoubtedly its stand-out social app this year. The ability for the app to turn the links shared by your friends on Twitter and Facebook into a magazine that you can flick through at your leisure was such a strikingly original idea that it was an instant hit. So popular was it at launch that the app ground to a halt shortly after launch. The Flipboard servers, which do the hard work of reformatting content for the app, were overwhelmed for several days as users lined up to try this “game-changer”. 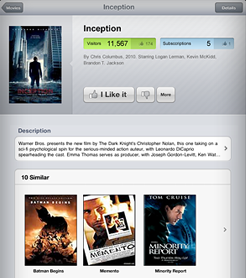 Since then, the app has continued to develop further with support for Flickr and Google Reader among other services. 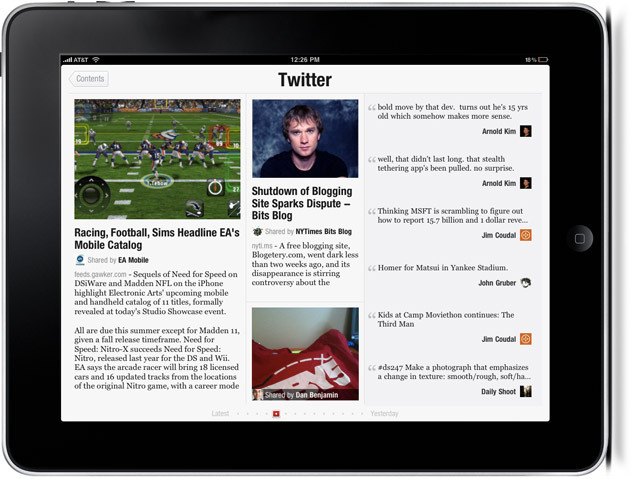 It looks like we’ll see Flipboard expand onto the Web in 2011.
iPad: Following its acquisition of Tweetie developer Atebits, 2010 was the year that Twitter began its push into developing official apps for major mobile platforms. 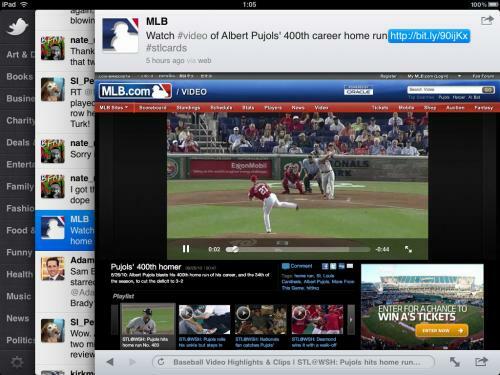 To date, the pinnacle of its achievements has been Twitter for iPad. Predating Twitter’s revamped website by several weeks, Twitter for iPad features the same two-column design and a built-in browser that loads shared links without having to leave the app. The interface takes a few minutes to get used to when you first use the app, with user profiles and other Twitter information appearing on ‘Sliding drawers’ that can seem like an annoying gimmick at first. However, once you get used to it becomes completely natural. With the simplest, most logical way to access multiple accounts that we’ve seen in a mobile app, you may well wonder why you’ll ever need a third party Twitter app again. iPhone & Android: A fresh take on the traditional RSS reader, My6Sense is all about bringing exactly the kind of content you want to read without the hassle of manually hunting down and subscribing to new feeds. This app works by building up a ‘Digital Intuition’ about your tastes. Give it your Twitter, Facebook and Google Buzz accounts, along with any RSS feeds that you follow, and over time you’ll discover that My6Sense really is starting to learn about the kinds content you’re most interested in. If there’s a downside, it’s that you really have to use the app for a few days before its true worth is revealed, but news junkies, bloggers and anyone looking for interesting content beyond the headlines we all see every day will really appreciate the gold that this app can dig up. iPhone, iPad & Android: “Checking in” isn’t only about location. Get Glue is an app that lets you check in to anything – TV shows, music, books, movies, video games, even topics that you’re thinking about; all of it can be logged in this app, which is the mobile companion to the Web-based service. If anything though, Get Glue makes most sense on a mobile device. Wherever you are, yo can keep a log of the culture you’re consuming. It can get addictive too. What’s in it for you? In addition to seeing what your friends are watching, listening to, playing, reading and thinking, the app can become a really useful recommendation engine over time as it learns your tastes and a fun ‘Rating’ feature lets you teach Get Glue what you like and dislike. As you use the app, you’ll earn virtual stickers (watch out for that “Badge fatigue”! ), and a number of commercial partnerships show that there’s real potential for rewards to become tangible in 2011. 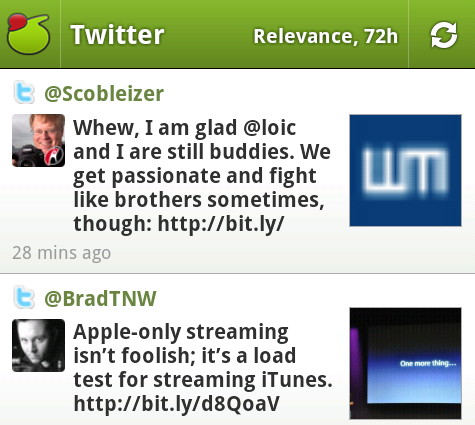 Android: While Twitter’s official apps have set a high standard this year, Tweetdeck has gone from strength to strength in going that little bit further for demanding tweeters. Besides an incredibly impressive Chrome app, the London-based team’s biggest achievement in 2010 has to be its Android app. Combining support for Twitter, Facebook, Google Buzz and Foursquare in one silky-smooth scrolling, good looking package, the app stuffs all the pro features a social media addict could need into one neat package. 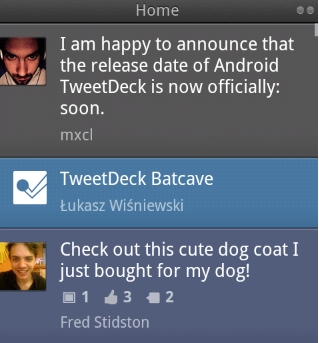 While initial builds of the app left a lot to be desired, Tweetdeck for Android has been improved on regularly, to the point we can now say that it truly is the desktop experience squeezed into your pocket. iPhone: Launching on the iPhone at the start of this year, Foodspotting took the idea of photographing your food and turned it into a useful, social experience. Taking a visual spin on crowdsourced restaurant reviews, Foodspotting allows users to share photos of the food they eat when they dine out. 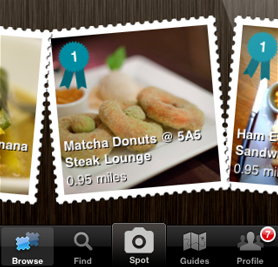 Taking a location-based approach, the app allows you to browse photos of dishes shared by other users. If a picture really does paint a thousand words, these visual reviews could be worth more than a raft of opinions on sites like Yelp or Qype. Foodspotting currently claims to have over 450,000 users and with an Android version now in beta (you can download it from this link), that’s set to grow in 2011. 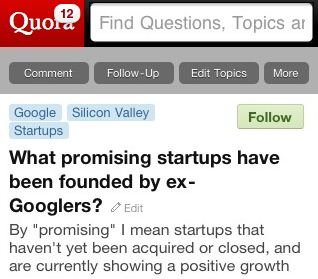 Mobile browsers: Some mobile websites are apps in themselves and discussion service Quora‘s handheld presence is the perfect example of this. iPhone & Android: A rival to Instagram, photo sharing service PicPlz hasn’t had quite the viral success of its better known rival. Still, by offering “the same but more”, it could yet take the lead. 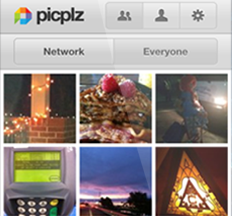 Just like Instagram, PicPlz offers the ability to share mobile photos treated with attractive filters. However, it’s already available for Android as well as iPhone and has a much more well-developed web interface for browsing users’ photographs. 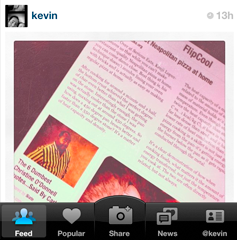 While Instagram may have the hype and the cool reputation, PicPlz is far more immediately useful to a wider audience. As such, it’s still far too early to pick a winner in this particular race. What about 2011? Read 8 Social Media Apps To Watch in 2011.